Quite often the content of the National Curriculum can be intractable for pupils who speak English as a second language. The teaching of English can now be made wholly accessible using set texts which have been effectively differentiated so that they are understood by pupils who may find the original version difficult. This pdf workbook has been designed for use with the novel ‘Lord of the Flies’ written by William Golding. With over 70 exercises covering a broad range of ability there is something for every student here. The exercises cover factual recall, knowledge of the text, understanding of the plot, analysis, personal interpretation and speculation. Worksheets are clearly laid out and are user-friendly. They can be completed with a minimum of equipment and they can be used in a variety of ways to fit into any course of study. This text has been widely used in English and Special Needs classrooms to promote the development of reading writing and listening skills. It has proven to be popular because of its accessibility and at the end of each section there is a series of stimulating exercises designed to enhance language acquisition. Developing literary appreciation is an integral part of the National Curriculum and this resource is designed to develop this skill. To see sample pages please email info@classroom-resources.co.uk quoting the order code H5046 or visit our website to download. Media Studies: an Introduction to the Terminology & Concepts – this 119 page, photocopiable book will explain the terminology and concepts of the media to your GCSE students in simple terms and will provide them with a logical structure for evaluating media texts. Media Studies: Preparing for the Exam – this book will enable you to ensure that students are well-prepared to sit their final exams in GCSE Media Studies. Student Packs for Lessons and Exams – Handy for your students and especially useful for exams. Consists of a clear plastic, “exam friendly” zip up wallet containing: Three quality ballpens (black ink), two HB pencils, 15 cm ruler, metal sharpener, eraser. approx, size: 224 x 157 mm. Search Taster Day Events – helps teachers of Media to discover an array of events to book students on to, such as university and college taster days, workshops, residentials, open days, outreach events and widening participation opportunities. Media Teaching Resources – publishers of teaching resources for schools. It is undeniable that there are a number of ways of taking A level history students up a grade; but here is just one approach, which can be used alongside any others that you choose. Many students often feel daunted by using primary sources, tend to overlook them, and, when pushed towards them, use them superficially. And yet A level coursework units require students to refer to primary sources, and marking schemes give credit to students who show independence in selecting their material. To overcome this problem, Primary Sources in Russian History 1801-1917 has selected a wide range of materials which are the most accessible for students taking A level history. In it is also true to say that some of this material will also be relevant for GCSE students study this period. Some of the sources are little more than a line in length while others extend to two ore more pages. Of course, the students will find some of the sources a little difficult to understand – but that is surely part of the historian’s training. Research in understanding a primary source (as well as actually referring to it) is very much part of history. The book covers the reigns of Alexander I, Nicholas I, Alexander II, Alexander III, and Nicholas II. Is your school taking advantage of the NEW FREE Play Therapy Placement scheme? Therapy when delivered to Play Therapy UK standards is an effective way of helping the 20% of primary school pupils who have an emotional, behaviour or mental health problem which impedes their learning and sometimes results in disrupted classes. With the start of the new academic year in September new trainees will become available to provide a therapeutic play service free of charge. Over 300 from all over the UK took part in last year’s scheme which is run by our accredited training provider APAC in a partnership with Leeds Beckett University. They will be undertaking the Post Graduate (level 7) Certificate in Therapeutic Play Skills. Most trainees will have their placements agreed by November – if you need support for the emotional and behaviour needs of your pupils, please apply now. PS You can also experience yourself how play therapy works and how we train by attending a one-day ‘Introduction to Play Therapy’ course held at 13 convenient venues throughout the UK. Phone: 01825 761143 to book. Business Studies Educational Software Solution – 10 titles packed with hundreds of stunning curriculum 3D animations describing difficult to understand concepts for Business Studies. There are texts, voice-overs, quiz zones, drag and drops, multiple choice quizzes and more. Request your 14-day free trial of Business Studies Educational Software Solution. Enterprise Education The Course Book – explores the notion of Enterprise and how it can be applied throughout the school, as well as examining the career implications of enterprise. The volume then covers the setting up of a work-related programme before going into examples of enterprise opportunities including simulations, school generated projects and engagement with business. Search Taster Day Events – helps Business and Economics teachers discover an array of events to book their students on to, such as university and college taster days, workshops, residentials, open days, outreach events and widening participation opportunities. Business and Economics Teaching Resources – publishers of photocopiable and digital teaching resources for schools. Student Packs: for lessons and exams – Handy for your students and especially useful for exams. Consists of a clear plastic, “exam friendly” zip up wallet containing: Three quality ballpens (black ink), two HB pencils, 15 cm ruler, metal sharpener, eraser. approx, size: 224 x 157 mm. 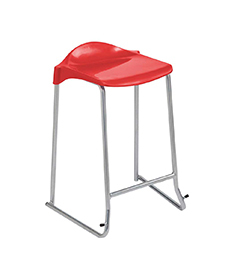 Probably the most popular laboratory and art room stool in UK schools and colleges………….. and often available at short notice. 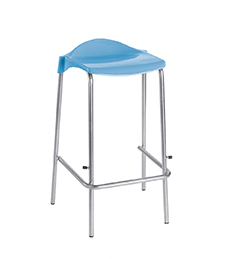 WSM laboratory and art room stools are used by thousands of students in many UK schools and colleges and there are FIVE good reasons why…..
1. Manufactured in the UK with a SIX year frame warranty for peace of mind. 2. The frame is fully welded for strength and durability. 3. A choice of ten seat colours and five frame sizes. 4. A choice of two frame types: four legs or skid base. 5. Moulded and shaped seat for comfort. or tel: 020 7515 1797 and ask for Martin Evans who will be pleased to assist. PS. As many of you are aware, delivery lead times tend to be longer during the summer months so if you are planning to order, sooner is better than later ! Do you find yourself spending too much time on admin? Collating reports, tracking homework submissions and dealing with parent calls? Show My Homework are here to help. We’re the leading online homework solution, used by 1 in 5 UK secondary schools, that’s breaking the homework monotony for students, parents and teachers. We save you time, so you can get back to what matters most. Return your focus to raising standards schoolwide and improving the impact of teaching and learning, so your students can be the best they can. Automated homework reports mean you can enjoy instant insights into how individual students, teachers and classes are performing. Manage all your homework needs from one centralised system and view trends in homework or identify gaps in learning across the whole school. Raise standards and save money, having everything online means no need for planners and with resources attached, there’s no more printing and reprinting worksheets. Watch submission rates climb with parent and student access to all homework 24/7 and rest assured parents are involved in every step of the homework process. Show My Homework can make a real impact in your school today. With easy implementation and dedicated support for teachers, students and parents from day one, you can easily make sure you’re doing all you can to improve the homework process. What is the single most effective way to develop children’s imagination – and why is this important? One of the key components of creativity and innovation is imagination. Thus, according to Sir Ken Robinson, an expert in children’s learning and education, “Imagination is the source of all human achievement”. Edventure has identified that the single most effective way to develop imagination among children is through play, which is why we supply schools with a wealth of games and play equipment, such as our We-Blocks Minis. Countless shapes can be made with the combination of your children’s imaginations and our We-Blocks Minis, which consist of a total of 28 pieces, including: 4 x Triangle, 4 x Square Window, 4 x Rectangular Window, 6 x Square and 10 x Solid Square. Free mini quiz on business activity! Use our free quiz to help your class understand the different levels of business activity. Test your students’ knowledge of the sectors of industry. Which types of businesses are growing and which are in decline, and why? Explore which factors affect primary, secondary and tertiary business sectors and chains of production. Try it now on our Doddle Business Studies page. Want to see more of what Doddle can do to help target revision? Book a free online demo! One of our team will give you a free tour of Doddle, and show you how the hundreds of resources can engage your students, test their understanding and support your revision planning. Our library of KS1 and KS2 Education Quizzes is free for a whole year and covers an extensive range of subject areas, including: Art, Computing, DT, English, Geography, RE, History, Maths, PSHE, Science, Spelling, Times Tables, Citizenship, Music, PE, and more! To see our full range of Education Quizzes for KS1, click here. To see our full range of Education Quizzes for KS2, click here. Furthermore, we have also created a range of Education Quizzes to support pupils who are looking to sit the 11-plus. Click here to see the full range of 11-plus Education Quizzes. For free sign up for a year to our library of KS1 and KS2 Education Quizzes, please visit https://www.educationquizzes.com/schools-uk-registrations/. If you would like to know more, please do email admin@educationquizzes.com or call 01406 371799. Learning to type is no longer an option, it’s essential. Learning to type is now an essential skill for today’s school pupils. With the use of computers in schools increasing and computer-based exams an inevitability waiting to happen, typing is a skill that should no longer be overlooked. By learning to touch type, your pupils will be able to work much more quickly and accurately whilst increasing their ability to focus on the subject matter rather than the mechanics of using the keyboard. And by keeping their eyes firmly on their computer screen when they type, they will avoid damaging long-term neck and upper back injuries caused by constantly looking down at the keyboard. With ‘Typequick for Students’ and its sister program ‘Typequick Professional’ for older children, at Type&Test Ltd we offer highly effective and engaging ‘cloud-based’ touch-typing training available to all your pupils, anytime, anywhere. Containing up to 60 hours of content, your pupils will never run out of fresh practice material. With our easy-to-use and comprehensive progress tracking software, included with every order, you will be able to monitor their progress whether they use the course at home or in school. Our Annual Licence scheme is amazingly cost-effective. For as little as 50p per head (that’s less than 1p per hour! ), or even less for our unlimited user licence, each of your pupils can have access to their own personalised course for up to a year. For more information, email enquiries@typeandtest.com using the subject line ‘annual licence’ and we will send you a link to our electronic brochure. Or call 01480 861867, or visit www.typeandtest.com. To make an enquiry via our web site, click here. What is the single most effective way of handling an unexpected incident or emergency in the school? An “incident” in the school could be an accident involving a pupil, student or member of staff. Equally an incident could be the sudden arrival of a parent who is particularly aggravated or abusive and is facing an administrator who is alone in the office. Or again it might be the arrival of an outsider who it is suspected has no reason for being in the school. Or it could be a power failure which has taken out the school’s phone system. In all such events the most important point is communication – immediate communication between the individual handling the incident and a designated member of staff who can then quickly arrange a suitable response to events. By far the most simple, cost effective way of arranging such cover is a compact two-way radio that provides fast and direct communication across a campus. This ensures that staff and teams remain co-ordinated and informed at all times. There are also of course more complex systems available – and it is obviously important to select the right system for your school. But the key point is to have a facility that allows someone in the school (for example the administrator) to have the ability to summon help at the press of a button if there should be a sudden problem. There is information about the various systems that we offer on our web site and if you would like to discuss your school’s requirements in detail, please do call us for free on 0800 084 27 99. The Articulate Gallery is an award winning range of slot sided picture frames especially for the display of 2D and 3D children’s artwork. It takes the children’s pictures off the fridge door and places them in their rightful place in a frame on the wall in an instant. The children gain a sense of achievement when they see their artwork properly showcased, which is good for their development, ideal for the classroom or a great gift for any family member. The frames allow easy rotation of the art and, being less expensive than conventional framing is a great way to encourage creativity in the children. No more curled up corners on the noticeboard! What’s more, once their creations are done, children can frame their own art giving them a sense of ownership throughout the whole topic. Our vision is to improve the way we educate our children by nurturing and encouraging their creativity making it central to their development. Using “The Articulate Gallery” to celebrate their creations builds happy, creative and confident learners. What is the best way to ensure that your A level English pupils know enough basic grammar to be exam ready? This handbook covers every aspect of grammar and its application to the analysis of text that is necessary for success in A level Language and combined Language and Literature courses, regardless of exam board. The book assists grammatical acquisition from word class, to phrase then clause level, finally showing students how to analyse sentences in text. Sentence analysis is a stand alone requirement for students of the new linear OCR A Level Language course from 2015. Each section of this book is accompanied by clear and useful tasks which are designed to allow students to demonstrate their understanding and apply and consolidate their knowledge. The final section of the book is devoted to punctuation and terminology used to describe patterning in text, such as syntactical parallelism, tricolon use and antithesis, all of which are High Grade rhetorical features necessary for success at A level. Direct speech punctuation and apostrophe use are also covered in detail with useful examples of how to apply both. This grammar handbook has often been cited by students as invaluable in assisting their learning, application and revision of grammar for A level Language and Language and Literature and is a resource created, developed and modified through many years of successful teaching. “An A Level Language and Combined Language and Literature Grammar Booklet” is published as a photocopiable volume or on CD Rom, and individual sections can thus be readily copied and distributed to students as required. The copies can also be shared with colleagues or given to supply teachers, without any fear of the original book being misplaced. SEALSONGS was written by David Stoll, a well-known composer of music for the concert hall, the theatre, and for television and radio. He also writes children’s songs and for school ensembles, and designs projects in creativity for schools, higher education and the corporate sector. His music is now being published by Novello & Co.
Jigsaw School Apps have built apps for over 400 schools across the UK. Call or email us quoting HH1 for your free 28 day trial. Whether you’re looking to extend the range of subjects you offer or to enable students to fit additional subjects into their timetable, NEC A level and GCSE courses are expertly designed to offer flexible, high quality learning at cost effective prices. With subjects including Psychology, Economics, Government and Politics, Philosophy, Maths, English and the Sciences, NEC can work with you to help you overcome staff shortages and timetabling issues. As well as the benefits to you, your students will also benefit from gaining independent learning skills, essential to higher education from an organisation with over 50 years of experience. To find out more and read how NEC works with other schools and academies, please visit our website. If you would like to discuss your requirements, please do not hesitate to get in touch on freephone 0800 389 2839 or by email to info@nec.ac.uk. Inspiring and motivating your pupils in science and numeracy, now there’s a challenge. If you’re looking for an alternative way to cement the concepts you’re teaching, Dr Matt Pritchard is the answer. Tailored to each group’s age and ability, Dr Pritchard will visit your school and perform his maths and science shows using live demonstrations, magic tricks and multimedia. Using real life examples, the captivating shows are clear and relevant to what your pupils are studying. “Thrilling Forces” – A fun filled and interactive show that demonstrates the forces & motion behind theme park and fun fair rides. Rockets will be fired, monkeys will fly and hopefully tall towers won’t come crashing to the ground. “Superhero Science” – Are superpowers fact or fiction? Explore invisibility, super strength, body armour, levitation, mind control and find out what they do (or don’t) have to do with real science. “Surprising Science” – Can you discover the sneaky scientific secrets behind the surprising illusions? The show will challenge the audience to think creatively like both a scientist and a magician. Superb for Critical Thinking skills. “Magical Maths” – Predicting the future, reading minds, sending secret messages and making objects vanish are easy when you’re a maths magician. With shapes, symmetry, patterns and numbers forming the basis of the maths behind the magic. Performing to over 50,000 people each year, Dr Pritchard works with a number of organisations including The Royal Society, Royal Institution, British Science Association, The Big Bang fairs, Science & Technology Facilities Council (STFC) to name a few. What’s more, he is one of only 300 members of the prestigious Associate of the Inner Magic Circle. Alternatively, you can email us at hello@sciencemagicshows.co.uk to make a booking. The cost for a day visit for up to 3 performances (no limit to audience size), is £500 plus travel. Click here to read what other schools thought of our recent shows. To enquire about a speaker or to order a free resource pack, please email education@ciwf.org.uk with “PSHE mailshot” in the subject title. A book of short, self-contained and original monologues/duologues which will be an ideal introduction to drama within a drama group. The monologues/duologues are designed to be learned, rehearsed and performed by pupils and will give them an understanding of pace, voice and body language. Students will develop drama techniques to explore in role a variety of situations. Each monologue/duologue is accompanied by a number of activities (written and oral) which will encourage students to look critically at their own performance and constructively criticise that of others. They will also develop skills in reading and writing and will be encouraged to reflect on and discuss a variety of topical issues. Cat No: 978 1 86083 762 3 Order code: T1727emn – please quote with order. What is the single most effective way to reduce low-level disruption in the classroom by 11%? Whilst there might not be one single way to reduce low-level disruption in the classroom by 100%, there is one single way to reduce low-level disruption in the classroom by 11%, which is, of course, a huge gain. To elaborate further, according to an Ofsted report – “Below the Radar: Low-level Disruption in the Country’s Classrooms” – the act of students rocking back on their chairs in lesson times accounts for 11% of overall low-level disruption in the classroom. Which is why Don’t Lean Back (DLB) has developed an anti-tilt classroom chair – reducing students’ ability to rock back and so reducing low-level disruption in the classroom by 11%. The Max 2 chair costs from £23.85 which, when you consider that students spend an average of 800 hours each year sitting on a school chair, equates to less than 3p per student per hour for one year. Furthermore, a Max 2 chair comes with a 10-year warranty. How do schools relate to the parents of those whom they teach? Most schools liaise with the parents of the pupils or students they teach in a way that has evolved over time. Quite often the issue of parent liaison is not a matter of debate – it is simply done exactly as it has been done for quite some time. And yet an analysis of the ways in which schools work with and liaise with parents has revealed that there are four different ways in which schools and parents interact. If you would like to read the report on school approaches to parents, it is available free of charge. All we ask is that before we send it to you, you complete a very simple, three question questionnaire, and send it back to us with your email address, and we’ll email the report straight on. The questionnaire is totally anonymous and we do not ask for any school details. The aim is to help us gain a little more insight into the issue of the ways schools are relating to the parents of the pupils and students in their school. It will take under a minute to complete. Your email address will only be used for the sending of the report on the four ways schools liaise with parents and will not be passed on to any other organisation or used for any other purpose. I do hope you will help us by completing this very simple questionnaire by clicking here, and that you will find the report on the four ways of liaising with parents to be helpful and interesting. What makes successful schools successful? And what makes them continue to build on their success? It is a simple but nonetheless valid observation. No school improves by itself. Schools get better because someone puts energy into improving the school. Linked to this there is a second, equally simple and equally valid observation. Even the most brilliantly performing school will slip back over time, unless one simple action is taken which will keep it improving, term after term, year after year. So what is it that some school managers are doing which helps improve a school in terms of its Ofsted rating, parental satisfaction and its exam results? And, leading on from the note above, what is it that some school managers do, which keep these improvements running, growing and developing, year after year after year? Interestingly, the answer is the same in both cases. And yet many organisations fail to see the benefit of embedding the notion of improvement within the very fabric of the organisation and its day to day activities. Indeed if you have difficulty dealing with your bank, the local council, the garage that services your car, or anything else – and you get the feeling, “they used to be ok, but now they’ve slipped,” the cause is always the same. Someone has set up an improvement programme – but then left it, thinking the job is done. No one has thought – how do we keep this improvement running. Of course, an approach to constant development and improvement is something that many teachers and managers resist. The old phrase, “Why can’t you just leave me alone to get on with the teaching?” can readily be heard in response. And yet, as the schools that use this approach have found, it is possible to use such an approach without putting any strain on the school or your fellow teachers. But the results can be extraordinary. The entire process is described in The Ever Improving School, a report commissioned and produced by the School of Educational Administration and Management – a body set up with government funding and the support of the government’s Department of Trade and Industry and the University of Northampton Department of Education. The Ever Improving School is available as a Kindle book for £9.99 and as a hard copy or CD which can be printed out, copied and given to colleagues within the school for £24.95. ISBN: 978 1 86083 852 1 Order code: T1843emn – please quote with order. Try our free Biology interactive on testing leaves for starch! This interactive experiment will help your students understand whether or not photosynthesis has occurred in a leaf by testing for the presence of starch. Clear animations demonstrate how to use hot water, alcohol and iodine, which changes colour on a leaf to reveal the hidden starch inside. Try out the free interactive activity on our Doddle Science page! Rhyming Spells – provides a wide selection of ingenious rhyming spells for improving spelling. Dyslexia Games Manual – packed full with enjoyable games and activities for developing literacy skills, increasing visual and auditory recall, as well as strengthening sequencing and organisational ability. ‘Just Read!’ PDF Poster Set – motivational posters about the power of books. ‘Learn about your library’ Posters – explain library terms successfully. The Online Dysgraphia Test – consists of 50 questions. After completion of the test and submitting a handwriting sample you will receive a dysgraphia test report. If we believe dysgraphia to be present you will also receive supporting activity materials free of charge. Overcoming dysgraphia workbook – contains 100+ A4 sides of activities, worksheets and games that aim to improve language processing, visual spacing, fine motor skills, pen/pencil grip, handwriting posture and memory retrieval. Postal address: Dysgraphia Help, 1 Oathill Close, Brixworth, Northamptonshire, NN6 9BE. Interactive English Software – 13 titles packed with hundreds of stunning curriculum 3D animations describing difficult to understand concepts for English. There are texts, voice-overs, quiz zones, drag and drops, multiple choice quizzes and more. Request your 14-day free trial of English Educational Software Solution. Plays into Shakespeare (KS3) – This book provides an active, dramatic launch pad for the study of Shakespeare, avoiding the distancing factors with which pupils struggle – the language, the history, the period costumes. Higher Close Reading Examples and Activities – focussing on understanding the main concerns of the text, analysing the techniques the writer uses, and evaluating the effectiveness of the writing. Monologues with Duologue Activity (KS4) – covers the requirements for speaking monologues in Drama at KS4 and KS5 and provides useful material for pupils working towards entry into drama college. English teachers will also find it useful in respect of the speaking and listening requirements at KS4 and the study of Shakespeare. Monologues/Duologues (KS3) – A book of short, self-contained and original monologues/duologues which will be an ideal introduction to drama within English or for use within a drama group. Working with Will – a scheme of work for English teachers and works as an introduction to text analysis in English literature lessons for key stages 3 and 4. Write Well – a book of writing skills aimed at helping students acquire the necessary skills for each situation. Are you tired of creating your own PowerPoint presentations, only to find that you are forced to use uninspiring cartoons or internet images to convey your messages? These images are often just not quite right. Well, no more! Our presentations use authentic resources in their proper French context. These particular resources should be used initially with 11-12 year olds during their first year of learning French but then can subsequently be used as a revision tool for older students if necessary. The presentation should be used to teach learners to describe their bedroom and also to use various (5) prepositions to say where items are in relation to other furniture. These materials are to be used within the context of learning about the house/home in French. The resources are multi-faceted in that they are used interactively from the beginning of the PowerPoint presentation to teach the required vocabulary to the class in a fun way. Students work in pairs, individually and as a whole class throughout the lesson using visual, auditory and kinaesthetic activities to engage and motivate them. The pace can be fast or slowed down as necessary for the students to assimilate the required lexis and can be used equally well with SEN learners. They will enjoy the variety of activities, the competition, 2 written exercises and use the 4 skills of listening, reading, speaking and writing in this lesson. These resources have been developed by an experienced language teacher, used with a class and have consequently been proven to be effective, fun and engaging. To see sample pages please email info@classroom-resources.co.uk quoting the order code H9232. Schools and academies are now required to ensure pupils are aware of the risks associated with radicalisation and extremism. Our new Anti-extremism and human rights classroom software delivers the topic sensitively using stunning 3D animation, professional voice-over and subject specific interactive exercises, quizzes and games. All delivered in a controlled environment, avoiding potentially unsafe web searches! If (and only if!) after your 14 day trial you would like to keep the software, it’s just £199 (rrp £250) for a whole school/academy site licence over a network or on unlimited PCs/Whiteboards. Technical support, should you need, it is free. What more can you do to boost your pupils’ creative writing skills? Creative writing is an area which pupils with SEN or pupils who are considered to be slower learners find particularly challenging. Not least because creative writing requires pupils to use an array of literacy skills, simultaneously. Indeed, creative writing requires pupils to focus on spelling, handwriting, grammar, punctuation, and structuring, as well as using their imagination. Fortunately, Brilliant Publications has produced the Boost Creative Writing series to provide additional support for pupils who find creative writing to be a particularly challenging task. The Boost Creative Writing series addresses the Programmes of Study for writing composition in the new (2014) National Curriculum for England. The structured planning sheets contain a wealth of activities that provide additional reinforcement of key skills for slower learners and SEN pupils with non-prescriptive writing scaffolds, giving them the support they need. The activity sheets have been written by Judith Thornby, an experienced Learning Support Coordinator, and cover a range of writing genres, from stories and poems to book reviews and newspaper reports. Furthermore, not only does the series boost pupils’ creative writing skills, but it has also proven to give pupils confidence and make them believe that they can write. This belief leads to better performance in all areas of school. And while designed for SEN pupils, these sheets can, and have, been used by pupils of all abilities. How would you add sound to any book or poster or object? PENpal is an electronic device that records and plays back your voice onto sticky labels. The PENpal is particularly useful for dyslexic and other SEN children as it enables them to work in a personalised way. With PENpal you can explain, define, give examples, without the constraint of space reserved for text! And, through PENpal’s ability to record voices it encourages speaking and listening skills and the confidence to express yourself. PENpals will read dictionaries, literacy packs, phonics posters, big books, even tactile sound enabled books! Children who learn best though a kinaesthetic experience rather than through reading chunks of text or group discussions can benefit. Selecting and listening at your own pace, stickering your own drawings with sound, attaching audio to clothes and equipment, listening to posters like “Garden Birdsongs” just by touching brings a feeling of control and calm, especially among autistic children. You can also add sound to any of your favourite books and poster or even make your own talking book! PENpal helps the teacher to connect in a unique way and the student to gain a confidence in learning. It is no surprise therefore that over 40000 PENpals are being used in schools and why its equivalent PENfriend is one of the RNIB’s best-selling products for audio labelling. The viVOS Artframe adds sound to any of your notes or pictures drawn or printed on any A3 paper. You can make your drawings and diagrams, add tactiles such as sticking bump-ons, or make collages or use swell paper. Build your own rich tangible media, and record and playback sound with a tap of your fingers. You can create over 300 sound spots on any A3 paper and playback existing .mp3 music as well as your own voice recordings. A tool for kinaesthetic learners, this device adds creativity and self-expression to your learning. ViVOS has a built in microphone, speakers is light and very robust. Click here to see a video of making a tactile poster on Spring with sound. We are Mantra Lingua, UK based makers of these devices, service Nurseries, Schools, RNIB, Museums and Nature Trails. Both devices are portable and can be used anywhere. There is no need for computers. PENpal costs £80 and viVOS £150. 400 Recordable stickers £15. How can you make the most of your school hall in terms of saving space, saving time and increasing capacity? Providing that the school hall isn’t otherwise occupied and there is enough space to do with what you want, there is no doubt that the school hall is an ideal place to create a pop-up learning zone. But there are problems. One – some schools find that there isn’t enough space due to the amount of room that the tables and chairs take up (even when packed away). Two – setting up enough tables and chairs for students for the lesson (and packing them away again afterwards) can eat into a significant amount of lesson time. Three – if the lesson follows lunchtime, it can be incredibly distracting to your students’ learning if the lunchtime supervisors are still packing away and cleaning the school hall. Indeed, to overcome these problems and ensure that your school hall can become an ideal pop-up learning zone, we have developed Wall Pocket – a table system which can seat up to 20 students and which can, within seconds, be folded up into a neat pocket on the wall. Now let’s imagine that you had six of these tables with their built-in seats (enough for 120 children). Packing them away can all be done within a matter of five minutes. Thus, learning can start almost immediately and continue right up to the bell. Which makes the benches ideal for breakfast clubs/afterschool clubs and school lunches, as well as lessons. Of course, with such an innovative product there are many other interesting features. Around 100 colours are available and colours can be mixed and matched. And the lift-assist spring system makes packing up and opening out the tables the simplest thing you could imagine. What’s more, there’s no compulsory maintenance contract (you can have one if you want) – there is a 15 year guarantee no matter what. Here’s a picture of how the tables look when set out for lunch or lessons. To see how they look when packed away click here.